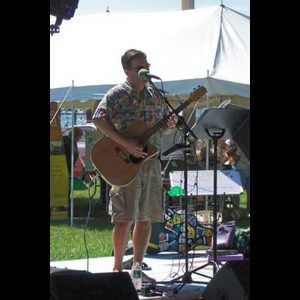 Bobby Morrill is a solo acoustic performer covering music from palm trees to shamrocks, and everything in between. 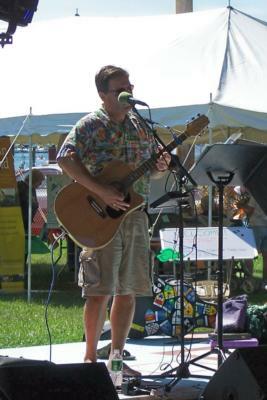 He performs folk to soft rock, rowdy Irish pub songs, and summertime beach favorites. He performs playing guitar, harmonica, and vocals. The difference between Bobby and other performers is the fact that YOU PICK THE SONGS!!! With a repertoire of over 350 songs and 80 Irish tunes, he takes requests all night long! Songlists are passed out at the beginning and the rest can be up to you and your guests. It can go from John Denver to Tom Petty, Irish Rovers to Violent Femmes. Want to hear a '70s one-hit wonder? He's your man! Bobby Morrill performs regularly in bars, corporate functions, and private parties all around the area. 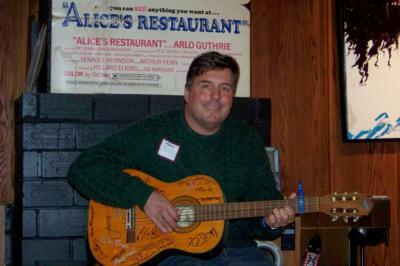 He has opened for Irish performer Tommy Makem, and has played at New England Parrothead Conventions. Clad in Hawaiian shirts, he can make any event a party. Bobby was amazing!!!!! He played at my parents 50th wedding anniversary party and everyone commented on talented he is. The party was in our backyard and he set the mood for everyone to relax and enjoy themselves. He was professional, on time (making the trip from Connecticut to long Island) taking requests....his voice and music really made the party extra special. I can't thank him enough!!!!! I would love to have another party just to hear him again!!!!!! Thanks, Bobby!!! I can't say enough great things about Bobby. He was awesome. I have never taken the time to write a review about anything, but I feel so strongly about his talent, I have to write. He took the time to learn a special song to me and played it better than the original artist. He was professional and accomodating. He came early and did everything we requested. I would hire him in a second for any event. Top notch - the best. I had such a fun time, as did my guests. We hired Bobby to perform for a surprise 40th anniversary party. From start to finish, working with Bobby was a great experience. We were able to give him a few songs ahead of time that we absolutely wanted to hear, and he supplied each table with a list of all the songs he can play for requests. Bobby even suggested a certain song for when the couple walked in. It was a huge hit and everyone sang along! Bobby has an incredible voice (several guests commented how he sounded like the artist who's song he was singing) . Bobby was friendly and engaging and I wouldn't hesitate to hire him again or recommend him! Bobby played for my mother's 70th birthday party. We had about 40 guests there. I first heard of him through GigMasters. It was a bit of a leap of faith booking without having seen him sing and play in person, but I liked how he sounded on GigMasters and liked his playlist and how he took requests from party guests. His style seemed to fit what I had in mind for the party. Our party was yesterday, 9/8/12. Bobby did an excellent job! He arrived on time and played and sang really well. He and his music were exactly what I wanted for the party. The guests thought he was great with many telling me how much they enjoyed his music. Fabulous! Thank you! Bobby was great to work with. He was there early to set up and he sounded great. He learned a new song for my wife's procession and it sounded fantastic. He also played the outdoor cocktail hour in the flower garden. It really added to the intimacy of the evening. Furthermore, he made the cocktail hour a little more special for a our cousins who were celebrating their anniversary and played their wedding song. All in all Bobby was a class act and he got it done in spectacular fashion and at a very reasonable price. Highly recommended!!! I hired Bobby to play an outdoor corporate customer appreciation cookout because of the great job he did playing my fathers 80th birthday party back in November. in both cases he was very accommodating, letting me use his audio equipment for a special presentation and announcements. He knows how to play to a specific crowd, and of course, welcomes requests from his extensive song library. His range is incredible as he can play almost anything from Irish folk to classic rock. He is exactly what you are looking for in terms of adding something special to a party or function. I look forward to the opportunity to book him again for our next function. Bobby was very accommodating. He helped me with a musical game to give away the centerpieces. He arrived on time and adjusted his speakers to the small room without anyone having to ask. The guests loved his voice amd many commented on his talent. Overall it was a very good experience and I would definitely use Bobby again. He really wanted us to be satisfied with everything we asked him to do and we certainly were. His performance far exceeded my expectations. His style & easy manner captivated all my guests both young & old. He handled all requests in a professional & courtious way. His song selection & presentation was a highlight of my celebration. I was particularly impressed wih his Irish melodies which was greatly received by my family & guests. He made my 80th birthday celebration a memorable & enjoyable event. I recommend him highly to anyone seeking a musical talented entertainer. I hope to be able to hire him for future events. Bobby played at my retirement party that had about 50 people at my home. He was terrific! I sent him a playlist prior to the event and took requests as well. Everybody thought Bobby was great. He kept the volume right (not too loud, not to low) so people could listen but still converse.Has a few sing alongs and play alongs as well. I would hire him again in a minute and would highly recommend to to others as well. Mike T.
Please note Bobby Morrill will also travel to South Britain, Derby, Ansonia, Hawleyville, Monroe, Orange, Stevenson, Stratford, Trumbull, Waterbury, Botsford, Seymour, Woodbridge, Bridgeport, Milford, Oxford, Danbury, Easton, Fairfield, New Haven, West Haven, Beacon Falls, Redding Ridge, Sandy Hook, Bethany, Hamden, Redding Center, Newtown, Georgetown, Ridgefield.